My journey to shift the last 20lbs and keep it off. So tonight I made this tasty morsel from A Girl Called Jack. It’s a delicious curry made with apricots and chickpeas. I’m generally not a fan of fruit in curry but I have to say I was pleasantly surprised by how much I liked it. In true Slimma Chick fashion, I deviated slightly from the recipe, adding some turmeric, garam masala and chilli powder from my spice rack. 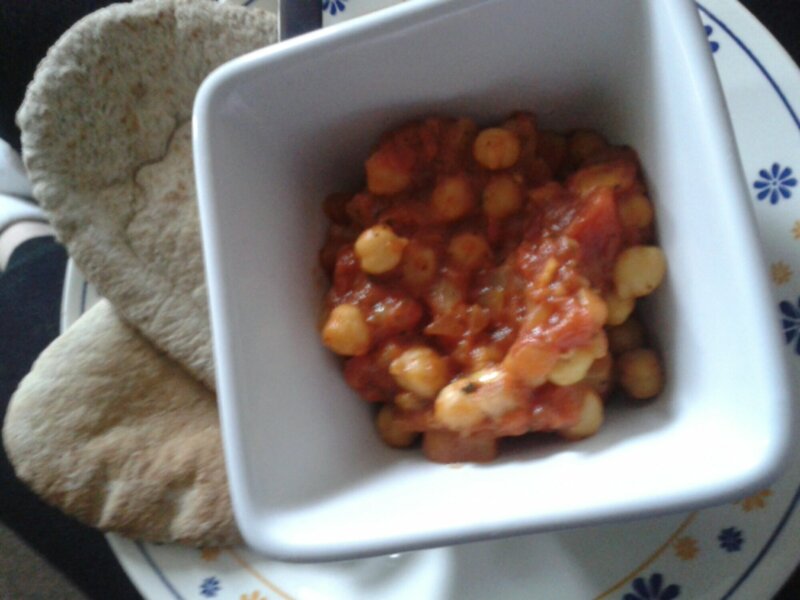 I also added the chick peas to the sauce for the last 10 minutes then served with pitta instead of rice. The result was a tasty and filling dinner worth just 7pp – 3pp for the curry and 4pp for the pitta. I’m one very satisfied diner this evening. A year of living frugally. Sort of. My journey to get healthy!